You could be amongst women who dream big and hope to lead a more financially independent life in spite of performing all of their other duties. 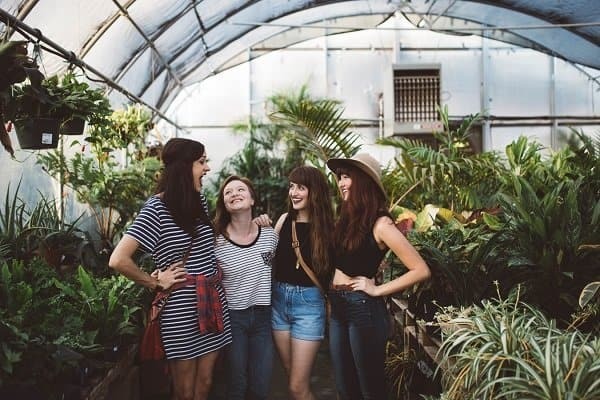 This article provides a great insight into career opportunities that helped numerous financially independent women to pursue their unique career ideas as well as outline different ways to earn extra money. Before we get started on the different ways to earn extra money for women, we would love for you to join our growing Facebook group right here! You can also join our Pinterest group by scrolling to the bottom of this page! If you are looking for guest blogging opportunities or if you need a personal affordable coach to take you from A-Z, we can help you. Get all the juicy details right here! Have you seen our brand new shop! Setting your financial goals and planning your steps accordingly will help you achieve financial freedom. You’re bound to have pretty many opportunities for earning money regardless of whether you’re an entrepreneur, a freelancer or into a home-based job. All women are likely to achieve more of flexibility at the workplace in terms of picking their work options and their preference of work schedule. You can find ways to earn extra money by using a hobby or a talent that you may have. For example, if you are great at cooking, why not use your culinary talents. It will not only provide you an opportunity to experiment with your favorite cooking recipes but will even create fresh earning opportunities. Office-goers are always eager to have home-cooked food in metro cities. You can get your catering business started with word-of-mouth marketing approach and allow it to grow eventually. In doing so, you might need to apply for cash loans although you can seek a bit of assistance from your loved ones. So, if you have the time and the right flair to prepare a few delicacies like chocolate cakes and cupcakes you can earn a good amount of money on the side! You’re bound to make money on the side whether you choose to write on a full-time basis or for a few hours per day. Freelance work is becoming very popular and there is great money to be made in that industry. A really good writer often turns out to be the spine of a reputed online business regardless of whether they are working for a content studio, gadgets store, and news website or health magazine. Your experience and writing quality determine your pay scale. You can even consider earning extra money from home or on the side by creating a travel blog of your own, especially when you’re a frequent traveler. Starting a blog is one of the best ways to earn extra money on the side. Women are good at creative writing and there’s no age bar. In order to find ways to earn extra money, you need to know what you are good at. You don’t need to spend a huge amount of money if you really want to explore your talents and skills in the fashion and styling industry. Setting a great portfolio online -Instagram- will usually do the trick. Just like you don’t need to spend anything towards your hairstyling and beauty treatment business in order to succeed. Showcase your best work and your home-based business will gain popularity much sooner than you think. Are you keenly interested in taking up teaching as a profession? You may consider offering tutoring assistance to students at home. For this, you’ll need to zero in on the subjects that you are really good at. You must also decide on how many hours you can devote towards teaching every week and how many students you wish to work with. Teaching English online is one of the best ways to earn extra money from home and gain financial freedom. Even when you’re not supposed to undervalue your teaching prowess, you must also not charge an absurd amount for your teaching services. Teaching is one of the simplest ways to earn extra money and it makes for the greatest second job opportunity. You may consider the opportunity to run a full-time business or consider running a side-business when you own your own camera such a DSRL and you are fully aware of its features. Go for this option only when you’re really good at photography. A lot of businesses are after good photographs which they can use as stock photos on blogs, websites, marketing material and on social media. If you’re a really talented photographer, then you might be able to achieve great incentives from a few stock-photo agencies in your neighborhood. You could also start writing as one of the ways to make extra money from home. Your write-ups could be sold to some of the greatest publication houses in town. This, in turn, will help you become one of their most trusted go-to writers. Women can actually explore their entrepreneurial skills and creative ideas in their attempt to be self-reliant. They won’t ever fall short of business ideas regardless of their capital strength and geographical location. All that they need to do is to identify their strength areas and reach out to explore their potential for earning money. This is more likely to pave the way for a woman’s financial independence! 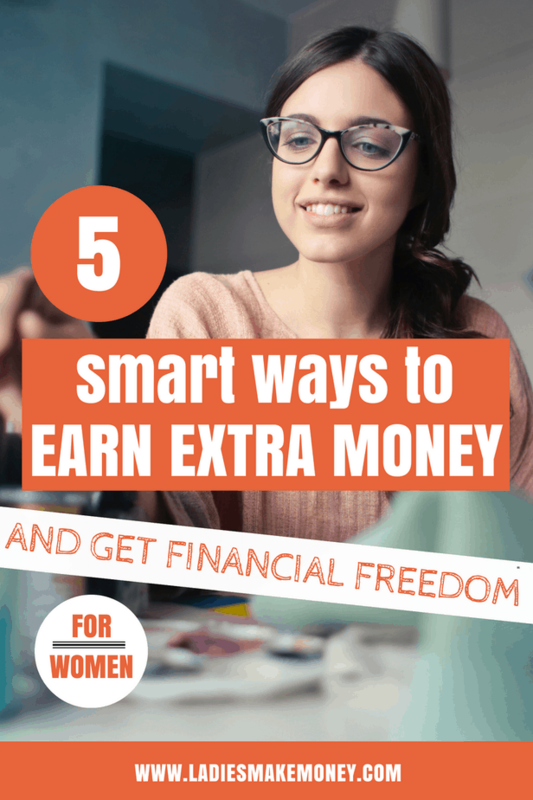 Did you like our list of ways to earn extra money in order to gain Financial Freedom? Be sure to share it.